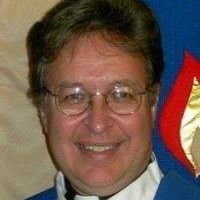 We have the most wonderful Pastor at Salem Lutheran Church in Moline. We have been blessed for 10 years with his kindness, guidance, caring and compassion. He has also grown our church in a time that others are losing members and closing their doors. He has created new opportunities for worship and fellowship while leading us through hard financial times. We have also seen significant physical improvements to our church as well. Without the bravery and faith to lead us, who knows what our church would be today. Congratulations on 10 years at Salem! When looking for new churches several years ago, you (along with welcoming members) were the main reason we chose Salem. You have always shown an interest in our family and we appreciate all your hard work at Salem. Thanks for everything and congrats again! Thank you for all that you have done for us at Salem for the last 10 years. Thank you for your compassion and your kindness that you have shown to all the members. May you be blessed as you continue to care for us in the future. Pastor Randy will forever hold a special place in our lives since he is the one who married my husband and I. He not only didn't make a funny face when we told him our wedding would be on Halloween, he also made an amazing sermon at our wedding and incorporated Halloween in the sermon. Pastor Randy always knows how to speak in a way that I can actually understand his message! Thank you for all you do for the church and being such a wonderful part of the church!! Hey Pastor R... Ten years is a long time, especially when you're dealing with a bunch of stubborn Swedes! (I am sure there are some other stubborn ones as well!) Being Swedish myself (pure bred!) I know I, for one, can be opinionated! You have been so kind and patient with me, an ever good listener! I think you know how much I love our church and our Salem family, and I SO appreciate my PASTOR! You have seen us through thick and thin, and are so often taken for granted. Please know how much you are loved by your Salem sheep, and we all appreciate what a great shepherd you are. Keeping these sheep in line is challenging at times, but please persevere! I also am blessed to call you a friend, and I do cherish that relationship. Thanks from the bottom of my heart!